Earlier today, Geeky Gadgets reported that it has received word from a retailer in the United Kingdom indicating that the "iPad mini" will be launching on November 2 in at least the United States and UK, with pre-orders reportedly set to begin on October 26. 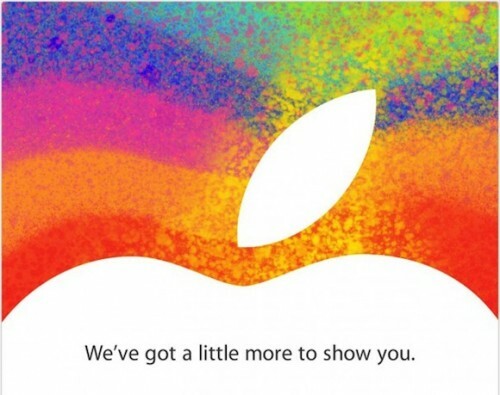 9to5Mac also issued a Tweet today stating that it has "heard whispers" of a November 2 launch. As we noted earlier this week, November 2 is the most obvious date for a launch given Apple's past history and the October 23 date for its media event, making it difficult to assess which rumors might be based on actual information and which might simply be speculation based on the most likely scenario. Apple typically releases its new mobile devices on Fridays, generally making them available roughly a week and a half after their introduction. This pattern was seen with the iPhone 5 last month and with the third-generation iPad earlier this year, among other past releases. Pre-orders, if they are offered, are a bit less consistent, with iPhone 5 pre-orders going live one week before launch while pre-orders for the third-generation iPad began immediately following Apple's media event nine days before launch. One wrinkle that could derail Apple's usual schedule is the possibility that the iPad mini may be considered a new product line, and these products such as the original iPhone and full-size iPad had longer gaps between introduction and launch. We do believe, however, that the iPad mini is likely to be a rather straightforward expansion of Apple's existing product line, meaning that a November 2 launch is indeed likely. I think the combination of the term "little" with the multicolored background tends to infer that the devices will be small and have colored shells. The background of the invitation resembles a lot the invitation for the original iPad. There were no colored versions, however. Eh, I'll hold out for the iPad Nano. I am hoping for an early release date if the smaller iPad rumors are true. I am looking to purchase something like that as a combination Birthday / holiday gift for a family member. It is nice to see that after the passing of Jobs, the fall special events are continuing. where do they go after this ?? LTE is here to stay, so no reason for iPhone 5s/6 ? thats just the way technology works tbh. Smartphones and Tablets are at its prime right now but saturated. theres not much u can change besides hardware specs in the future, just like it happened to the laptops or mp3 players and iPods. "iPad 3" is just used by idiots who can't realise that iPad 13 in the year 202X is a really dumb idea. You mean like the idiots who refer to the iPhone 5 as "iPhone 5" and iOS 6 as "iOS 6"? It's only called new cause it is new. When the iPad (4th Generation) is released that'll be new cause it is new. And so on and so on. Yes, which is a retarded nomenclature since the previous generation is rendered nameless. "Which iPad do you have?" "The iPad. It was called the New iPad up until yesterday but now they have newer New iPad so mine is no longer new." "So you have the Old New iPad?" "No, that's what the used to call the one before mine when mine came out. I guess I have the New Old New iPad, then." "Ahem", says a pompous bystander, "I believe you are referring to what we in the geek community call the '4th G -'"
"Don't say it. Don't say 'Gen'".